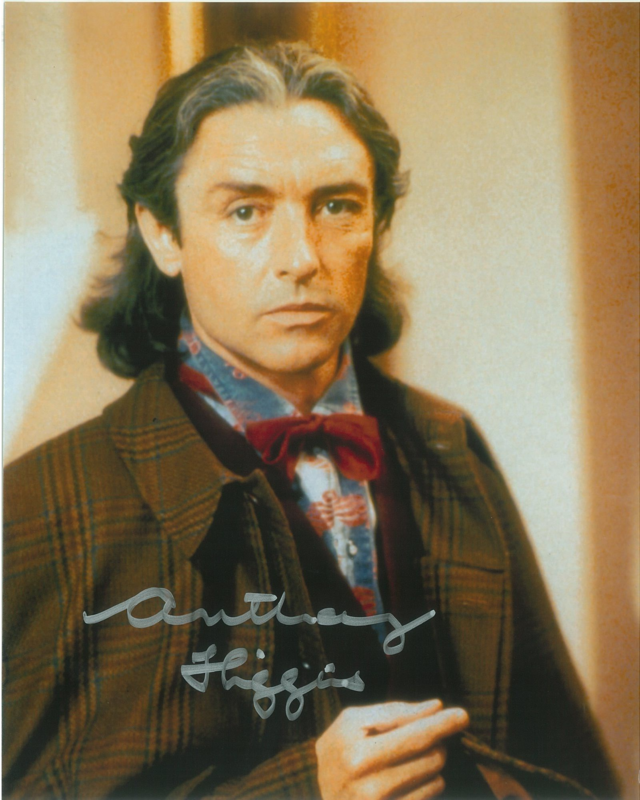 Anthony Higgins is an English stage, film and television actor. Anthony started acting in school and Cosmopolitan Club theatre plays, taking the lead in 'Treasure Island', Sweeney Todd', and 'The Beggar's Uproar'. After graduation he studied at the school of the Birmingham Repertory Theatre Company. In 1967 he became a professional stage actor. He received positive reviews for his performance as Romeo in Romeo and Juliet at Birmingham Repertory. He worked onstage in Coventry and at the Chichester Festival in Chichester. One of his first television appearances was a pivotal role in a 1968 episode of the TV series Journey to the Unknown with Janice Rule. Another television appearance was in Strange Report with Anthony Quayle. Higgins' first successes in cinema were: A Walk with Love and Death by John Huston with Anjelica Huston, Something for Everyone with Michael York and Angela Lansbury, Taste the Blood of Dracula, with Christopher Lee, and a cult film Vampire Circus.